With modern technology enabling gamblers to place their bets anywhere at any time, on their phones and digital devices, it may seem like betting shops are a thing of the past. Although this may be true in part, the same can’t exactly be said for portable betting shops. Given the situational advantage, these shops can be positioned anywhere across racecourses, stadiums, and events all over – offering a new and equally efficient way to bet – without the mobile data. 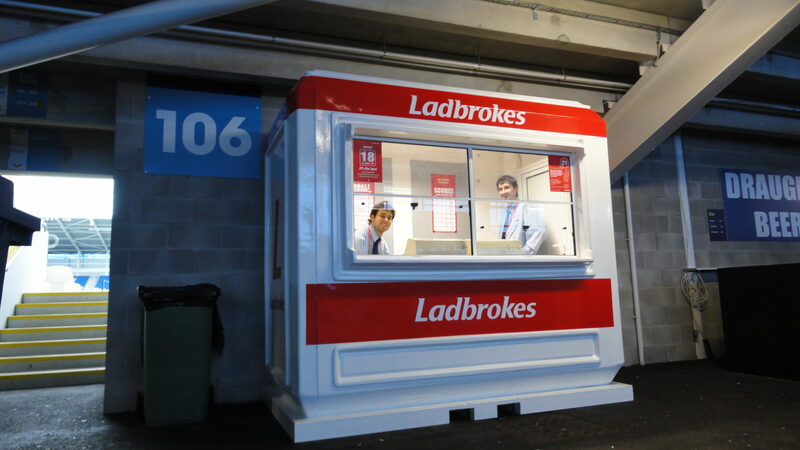 Rapid Retail has recently undertaken the production of 12 betting kiosks for our client Britbet to be set out across several of the UK’s major racecourses, starting with Cheltenham. RR, with its wealth of experience in both production and logistics, is offering a full turn-key solution; producing, transporting and maintaining the units for the foreseeable future. The kiosks will be constructed from steel in a 3m x 2m size and a larger 4.5m x 2m size. Complete with billboard headers, safety service windows, canopied service area and digital displays. Amongst other integral components, we now begin to create the ultimate solution for nationwide pool betting. 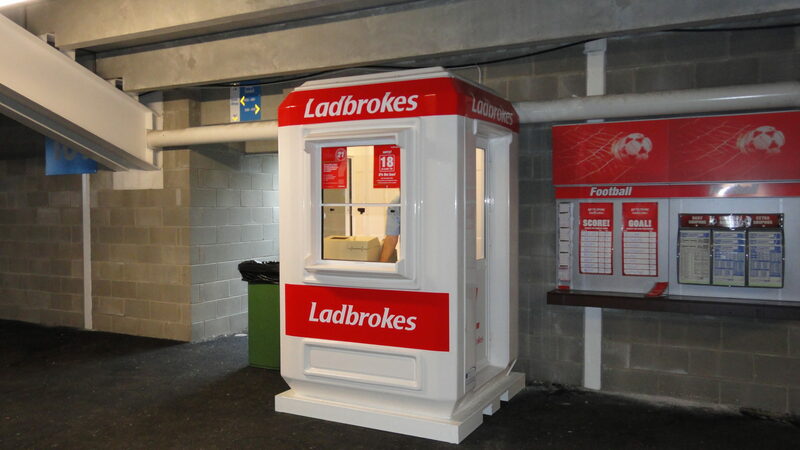 What advantages do these kiosks bring to betting companies such as Britbet and in turn the racecourses? First and most obvious would be the increased revenue for operators. 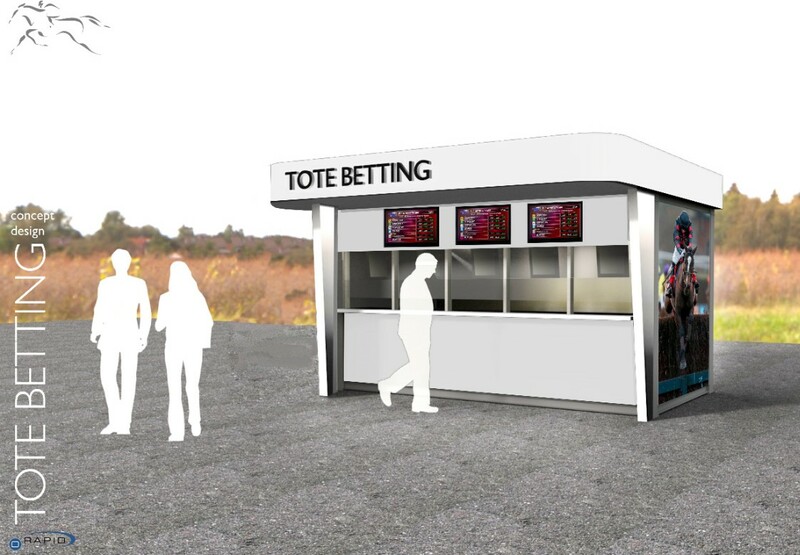 Given the optimal location of the betting kiosks, experienced gamblers and first-timers alike will be drawn in by the ease of access and the spirit of the day. Accepting cash and winning tickets will enhance the experience and open the option to bet to the masses. After all, no one is going to miss that bit of loose change hanging around in their pocket… Until they have a bus to catch! These kiosks are also the ideal foundation for digital automated betting terminals to live. With the advancement of this technology moving along at high speeds, it won’t be long before these units can be reformatted to make use of these new technological advancements. In turn, this optimizes labour costs for the operators and offers a unique, simple experience for the consumer. Until then, however, we manage with good old human interface.